Royal blue crystals complement the shimmering of rhinestones. 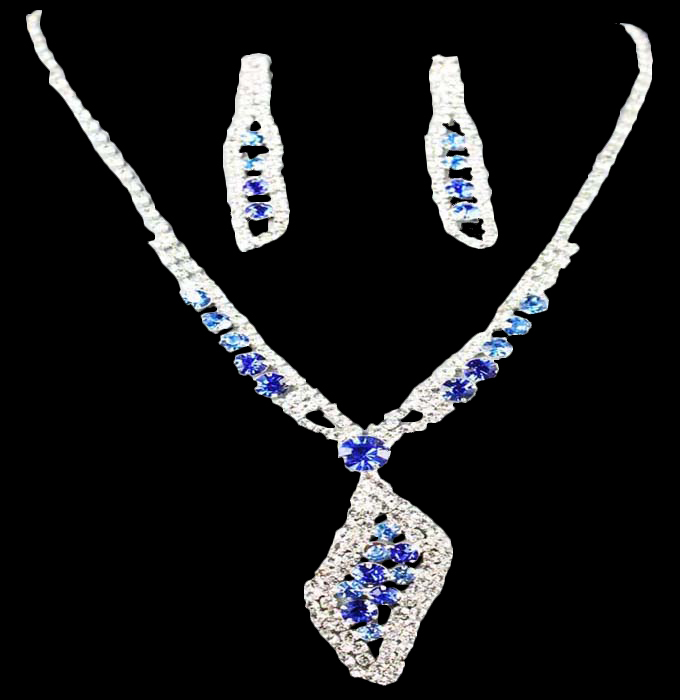 The focus is made on a large pendant of iiregular shape crafed from two rows of rhinestones with blue crystals inside. Drop earrings feature the matching design. Oz Bling, one of Australia's favourite online jewellery stores brings you all the latest styles and colors of fashion accessories from around the world.